Two students from Ghana are preparing to fly more than 7,000 miles to Manchester for a prestigious contact lens conference after winning travel grants from not-for-profit organisation The Optical Foundation, whose mission is to make eye care accessible for all in Ghana, especially children. 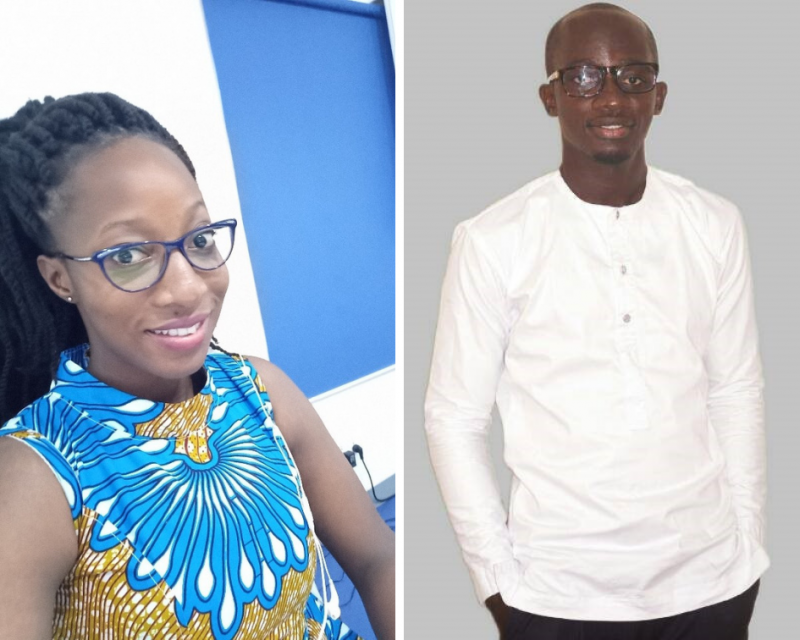 The funding means Nutifafa Esther Senanu from Kwame Nkrumah University of Science and Technology, Kumasi, and Ebenezer Zaabaar from the University of Cape Coast, will be able to attend the 2019 British Contact Lens Association (BCLA) Clinical Conference and Exhibition. The BCLA will provide a complimentary full delegate package for both students for the event. Carolina Kunnen of the Optical Foundation, said: “We had always intended to allocate one travel grant to the top performing male and another to the top performing female and were thrilled that the judge’s scoring highlighted these two candidates as the top performing candidates. Nutifafa and Ebeneezer will be able to absorb cutting edge learning from BCLA Conference delegates, and take it back to Ghana to inspire fellow students and eye care professionals. They will hear about the latest innovation and clinical insight, and take part in hands-on workshops showcasing the most up-to-the-minute techniques. Both students will also be able to experience a dedicated exhibition from the world’s leading contact lens and ocular surface management manufacturers and suppliers. The three-day Clinical Conference and Exhibition, due to take place from May 30 to June 1, is returning to Manchester, featuring a new hashtag for 2019 of #AlwaysLearning. This grant selection process involved the assistance of The Optical Foundation Advisory Committee consisting of Eric Papas, Fayiz Mahgoub, Ayeswarya Ravikumar, Bianca van Leeuwen, and Thomas Stokkermans.CooperVision UK is funding the students’ airfares, transport and hotel accommodation.